The Candlelight Processional brings some huge stars to Epcot (including the always amazing Neil Patrick Harris) to read the biblical tale of a savior born to a virgin in Bethlehem, accompanied by a mass choir and orchestra. Cinderella’s Castle becomes a ‘Frozen’ masterpiece. The holiday lights on the castle elevate the already stunning night-time look of everyone’s favourite Disney icon with a cute show featuring Anna and Elsa – A Frozen Holiday Wish. 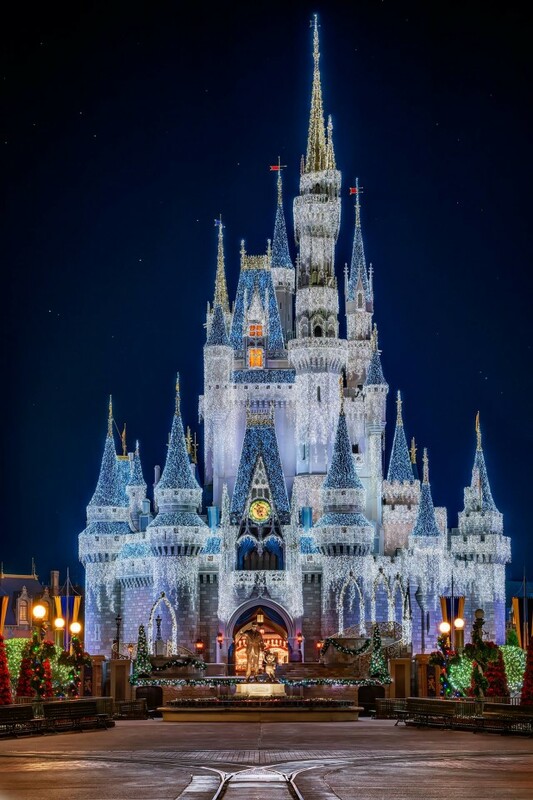 Disney’s Yuletide Fantasy Tour is a great way to gain some insight into how some of the most amazing Christmas magic in the parks takes place, as Disney shows you all the planning that goes into making the holidays special. 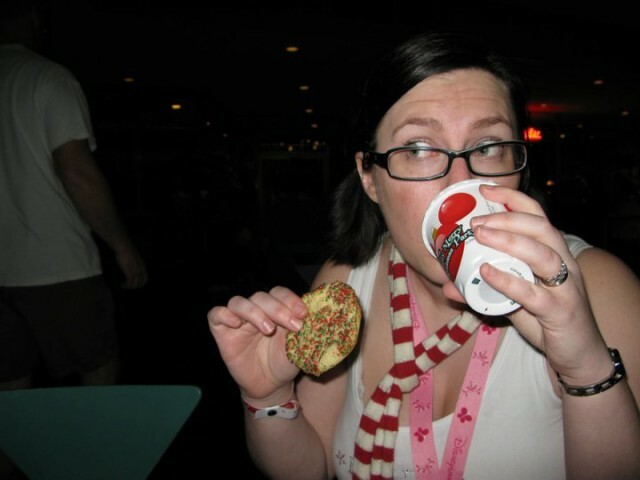 While walking down Main Street how would you like some free hot chocolate and cookies? At Mickey’s Very Merry Christmas Party, this dream becomes a reality. IT SNOWS. Enjoy those treats while it snows overhead – better yet, enjoy it during…. 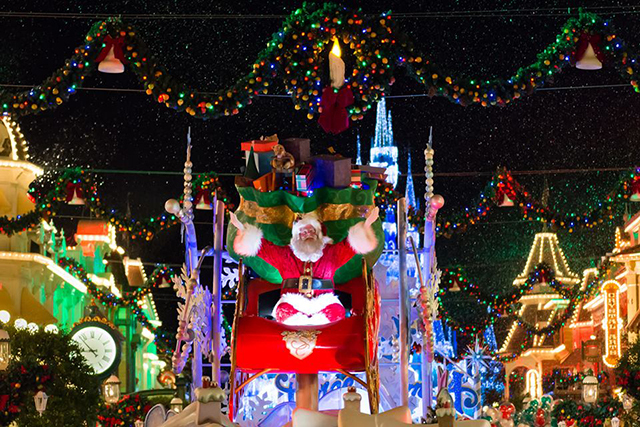 Mickey’s Once Upon a Christmastime Parade, including the jolly man in red himself – the perfect way to complete Mickey’s Very Merry Christmas Party. Getting pictures taken with Santa Claus is always a special occasion. How about doing that in Walt Disney World? Or better yet… meet Santa Goofy! O Christmas Tree! 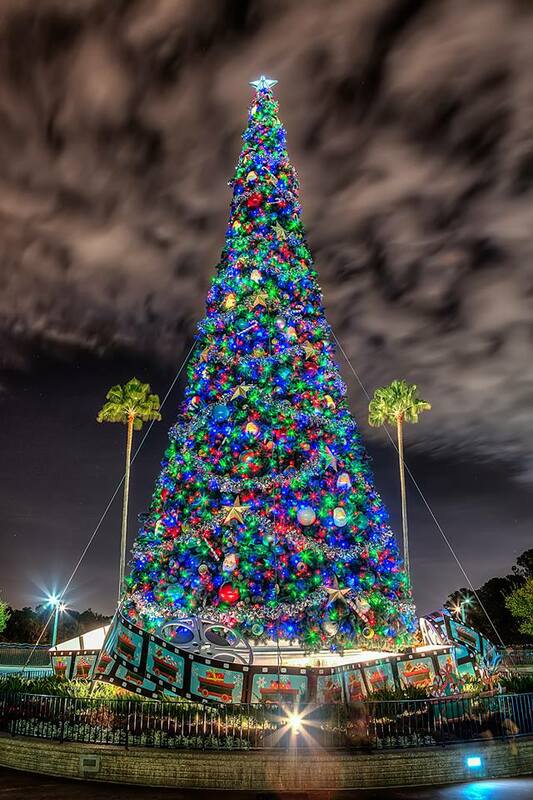 There are gigantic Christmas trees in every park. Each one is beautifully themed to match its park, and each provides great photo opportunities. A flurry of Fun at Disney’s Hollywood Studios. Sunset Seasons Greetings, Minnie’s Holiday Dine, and Jingle Bell Jingle BAM make for great holiday festivities at DHS. Decorations everywhere. Magic Kingdom obviously has the most, but each and every park gets decked out in style for the holidays. 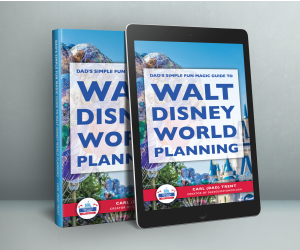 The resorts get in on the fun too – find out how you can see them ALL with Dad’s map! Edible Christmas displays at the Deluxe Resorts built by pastry chefs: they’re life-sized, and made of various holiday sweets (gingerbread, chocolate, etc.). They’re featured at the Contemporary, Grand Floridian, Yacht Club, Beach Club, and BoardWalk Inn – you’ve gotta see it to believe it! 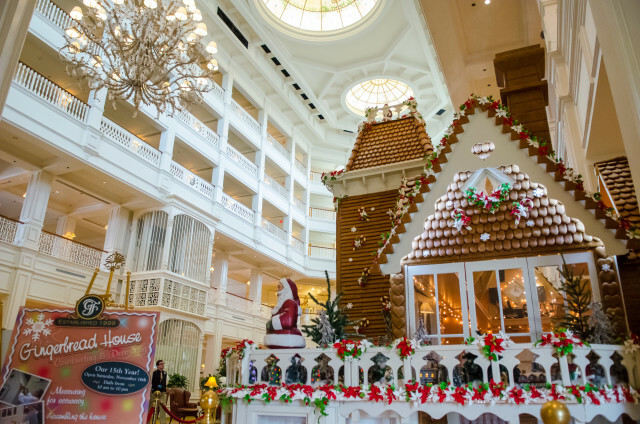 Many of the edible Christmas displays sell holiday snacks; try the delicious gingerbread shingles sold out of the enormous gingerbread house in the lobby of the Grand Floridian Resort – they’ll definitely put you in the holiday mood! Jingle Cruise! All of the boats on this popular ride change their names to hilarious holiday puns. 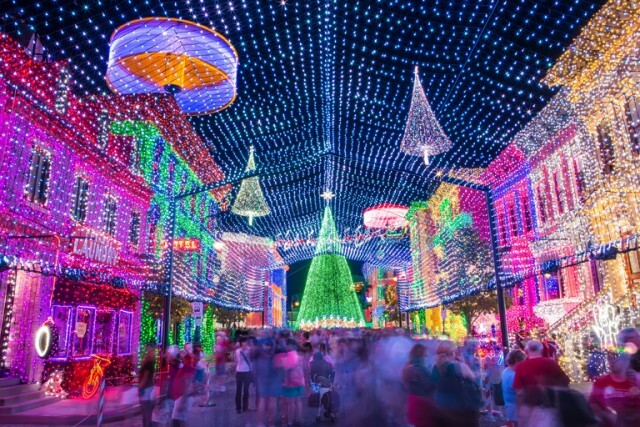 It’s your last chance to see the Spectacle of Dancing Lights in 2015! A Totally Tomorrowland Christmas stage show features Stitch and friends, partying it up Disney-style. Hot cocoa is available everywhere. Look for festive flavors in addition to regular hot chocolate. The Epcot International Festival of the Holidays gives you an unforgettable inside look at how countries around the world celebrate the holidays. What better way to experience holidays around the world then with holiday treats? There are a few to focus on: Canada offers a wonderful pecan-maple bark. France brings you a traditional French buche de noel au chocolate, peppermint ice cream macaron, and even some gingerbread ice cream. Last but not least, crowds and costs play an important role at this time of year. Unless you’re visiting during Thanksgiving week or Christmas week (the most expensive and crowded times of year), you can enjoy many elements of Christmas fun at WDW throughout November and December – many of these weeks there are medium or low crowds, and you can even find special offers (this year, Free Dining and room discounts were offered during the holiday season).And who says you can’t surprise the family with a little early Christmas present? 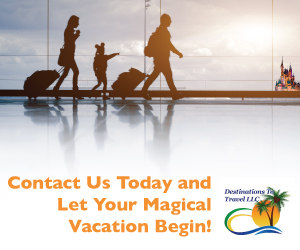 Dad’s friends at Destinations to Travel will be happy to help you get on your way! 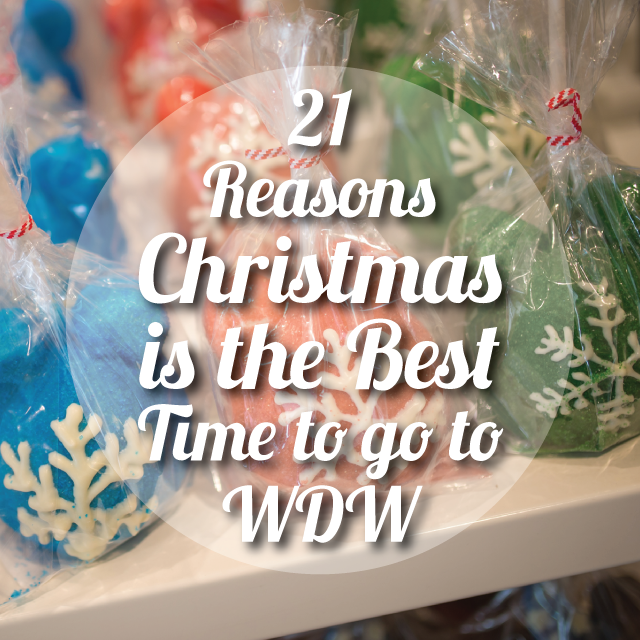 Of course, there are more than 21 reasons why Christmas is the best time to visit WDW. Share your reasons in the comments below! Some of the resorts plan something special on Christmas eve. A hidden holiday gem that many don’t know about is the Breakfast with Santa and Mrs Claus at T-Rex in Disney Springs. It’s only offered 8 times, on Saturday and Sunday mornings in December. It’s so hidden that the Disney cast member didn’t even know about it when I called Disney Dining to book it! It’s only during breakfast (which T-Rex usually doesn’t serve), but it’s a buffet, so you’ll definitely get your money’s worth. You also get a few perks like early entrance into the World of Disney gift store and a few other shops. Santa counts as a character, right? So it’s (to me, anyway) a character meal on a non-park day which another plus.